You are here: Home / Destinations / Thinking about taking a Holiday in Devon and Cornwall? England’s “West Country” has charm, scenery and better weather! Cornwall – the English Riviera? On the very south-western tip of England lies the beautiful county of Cornwall. With a delightful mix of superb beaches (among the best in Britain), outstanding scenery and charming towns, villages and cities, this county has something to offer everyone for their holiday in Cornwall. With the wealth of attractions & scenic beauty on offer, Cornwall has just as many affordable holiday cottages, hotels, B&Bs & guesthouses to suit the budgets of all holidaymakers. Cornwall is also Britain’s premier surfing capital– not surprising given that it enjoys the best weather anywhere in the country. It also has some of the cleanest beaches and attracts visitors by the millions every year. 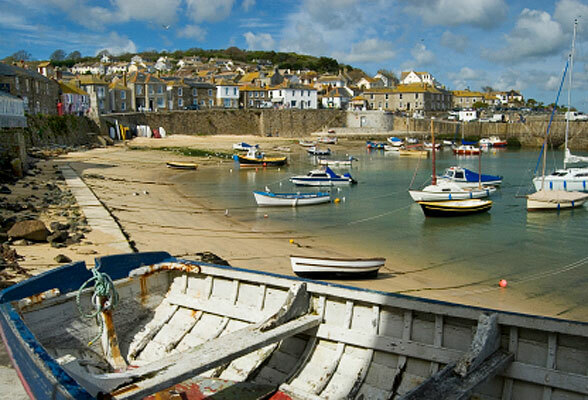 Whether it’s lazing on lovely white beaches, ambling along wonderful sub-tropical gardens or exploring quiet, picture-perfect fishing villages you’re after, you’ll find it all when you visit Cornwall. The famous King Arthur is also believed to have come from Cornwall, in a small town called Tintagel. Cornish history is mystical, ancient and highly fascinating. The many delightful towns and villages are often named after the Christian missionaries that have influenced them. Like your food and drink? 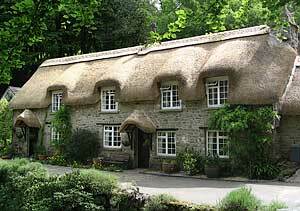 Cornish pubs are known for offering good hearty foods and your choice of flavoursome ales. And let’s not forget the “Cornish pastie” – a tasty must-have meat pie that must be experienced when visiting Cornwall. But the good news is that you don’t have to eat Cornish pasties throughout your entire holiday in Cornwall. With its wide expanses of coastline, there’s plenty of seafood here and the celebrity chefs have arrived as well. Whether you prefer French cuisine, Mediterranean or modern cooking, there’s plenty to choose from. Rick Stein alone has four restaurants in Padstow and a pub in St. Merryn. I once saw this man barbeque a piece of moonfish on the beach and it looked so delicious that the memory has stayed with me to this day. Devon is famously known to offer the traveller a feast of splendid scenery, lovely beaches and pretty harbour towns. Popular destinations within Devon include Plymouth, Torbay and Dartmoor National Park. Devon is also a walkers paradise, and like neighbouring Cornwall is one of the most popular holiday destinations within the United Kingdom. And it’s very easy to see why – lush pastures break out into spectacular coastlines, making Devon a Mecca for those hunting for a taste of quaint old England. While enjoying a holiday in Devon, be sure to experience the wonderfully rugged coastline scenery. Devon is also blessed with some stunning countryside – charming narrow little roads amble on for miles with nothing but lush greenery and flora that offers a myriad of explosive colours during the summertime. Driving through these single-lane roads is an experience like no other – arrive in a Devon town that’s dotted with picture perfect thatched cottages and enjoy a cream tea and scone in one of the many tea-shops. Devon offers the traveller a classic English village experience – and there are many great country cottages, hotels, self-catering accommodation, B&Bs and many more types of accommodation to cater to the needs of both the luxury traveller and budget conscious back-packer. Like Cornwall, many famous chefs have found their way to Devon and if you want to treat yourself to some fine cuisine there’s even a restaurant here with one Michelin star. Devon also offers some of the best year-round weather to be found anywhere in the UK. Temperatures in January (when the rest of the country is shivering) average a maximum of 9 degrees. If you enjoy coasts & estuaries then a holiday in Devon will delight you – the estuaries (such as the Teign) also attract many species of migratory birds.